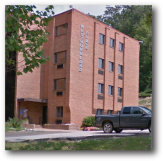 Dr. John Simpson, Dr. Stephen Guest and their team at our Charleston, West Virginia, dental practice look forward to caring for you and your family’s dental health. At The Smile Center we care about you, not just your teeth. Drs. Simpson & Guest are accepting new patients. Call us today to set up an appointment for a dental exam. We understand that emergencies don’t always wait for appointments. That’s why they offer same day dental care. Just call the office number and we will do our best to make time for you that day. If you have had a pleasant experience with us, why not refer a friend or loved one?